Chris Williams (better known as @IUArtifacts) delivers deep dives into the rich history of Indiana athletics ... one spectacular piece of rare memorabilia at a time. Collector’s note: When collecting Indiana basketball programs and tickets, I’ve always wanted to focus on collecting key games as a priority. To other IU collectors I’ve encountered over the years, this is a similar goal. Whether it would be Calbert Cheaney’s Big Ten scoring record, Walt Bellamy’s single-game rebounding record, or Steve Downing’s monster game of 47 points and 25 rebounds against Kentucky, there are countless examples of great game programs and tickets to seek out. 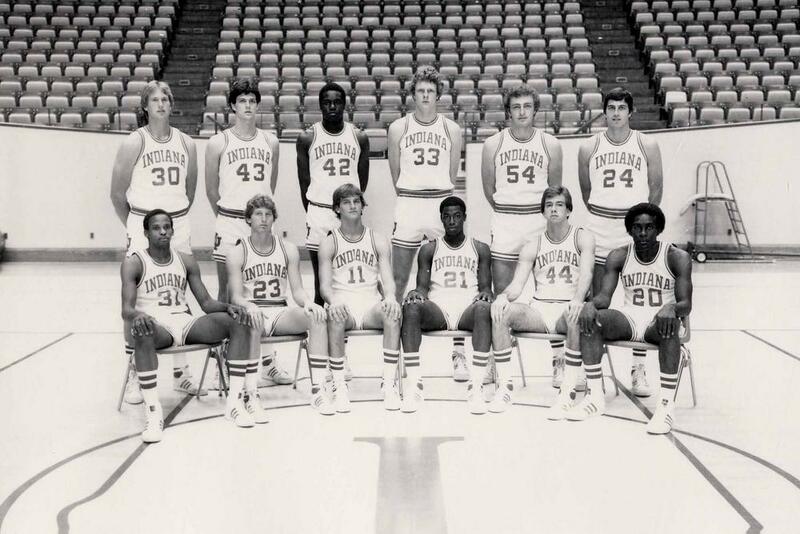 Collector’s note: I have always been obsessed with the older large versions of Indiana basketball team photos. 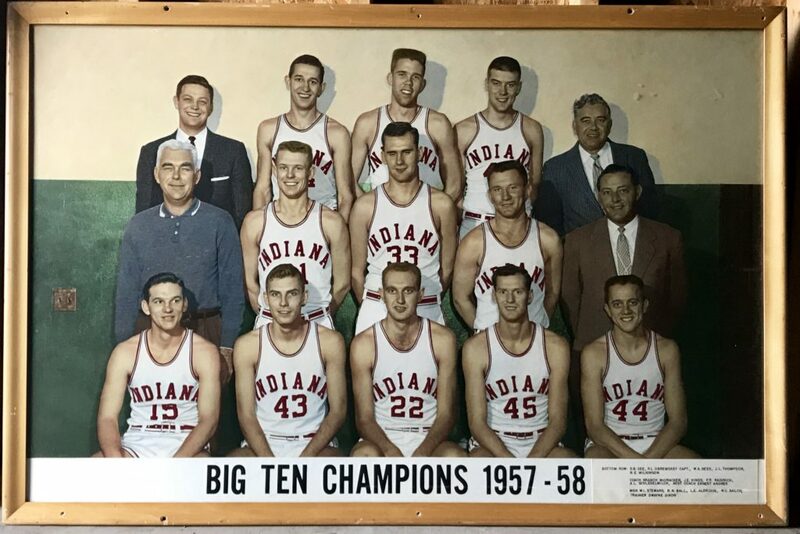 I can vaguely remember the larger hand-tinted versions (usually around 54″x 36″ or larger) hanging in Assembly Hall and in some local Bloomington businesses. Older versions were also known to be hanging in both the Old Fieldhouse (now Wildermuth) and Gladstein Fieldhouse. Indiana University would also produce similar hand-tinted versions for other sports including football, baseball, swimming, and track and field. A number of these I have come across in recent years were heavily water damaged. This variation, complete in its original frame and under the original glass, displays beautifully still to this day. Perhaps no other team in Indiana University basketball history began a season so poorly, yet wound up ending the season with so much success, as the 1957-58 Indiana Hoosiers did. Collector’s note: IU schedules have always been one of my favorite items to collect. I, like many in the Hoosier fanbase I’m sure, would look forward to the new pocket schedule each year and record the game-by-game results as the season progressed. In terms of collecting, older IU basketball schedules (especially those that are pre-1960) have become harder and harder to find. The older varieties were often issued as ink blotters, a very practical idea during the ink pen era. This 1914 example, however, is very unique, and probably the most detailed IU schedule variety I have ever seen. 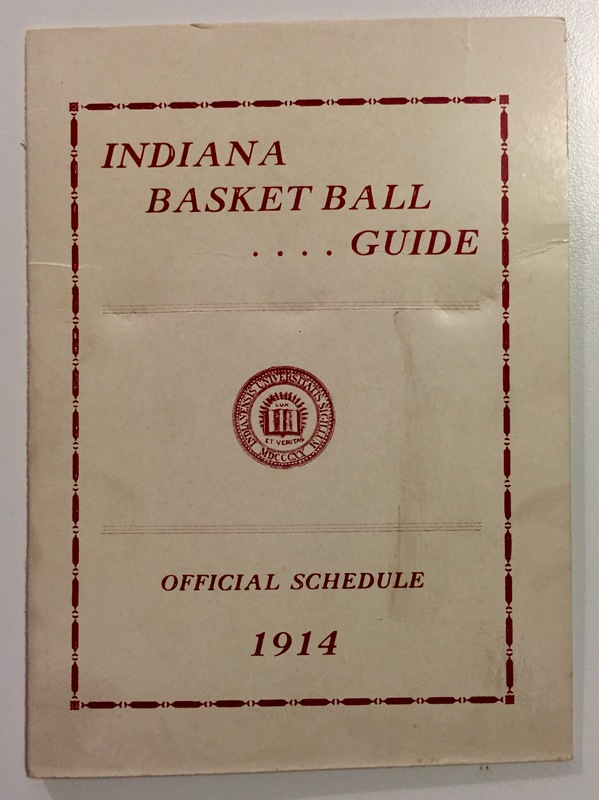 Additionally, it is extremely rare, and almost impossible to find any IU schedule from the 1910’s as many were simply tossed out at season’s end. 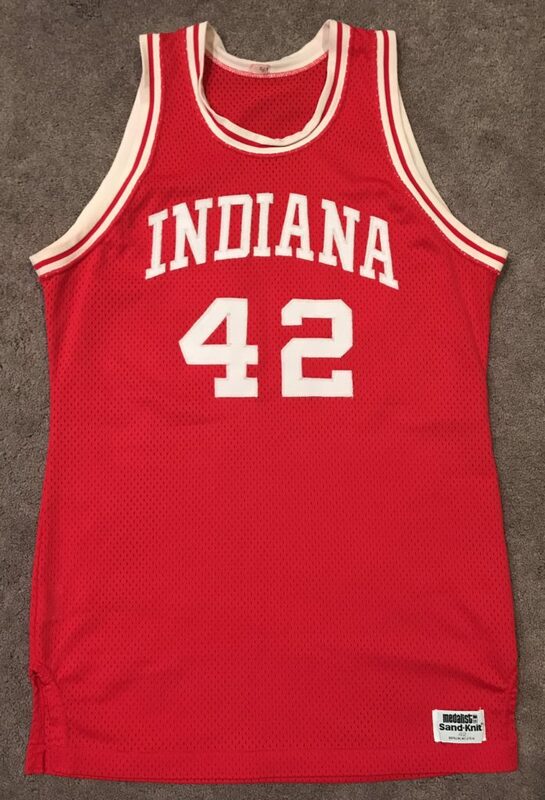 I wish to go “old school” for this post, as I feel it is important that Hoosier Nation be well-informed about the early era of IU basketball. Collector’s note: The 2000-01 season would be not only a season of change at the head coaching position, but also one with uniforms. For a second-straight season, Indiana would begin the season wearing Ripon Athletics uniforms. However, Indiana was in the process of an apparel deal with Nike, which would impact the IU basketball team as well. Halfway through the 2001 Big Ten season, Indiana would change from the Ripon uniforms to a mesh style Nike uniform. 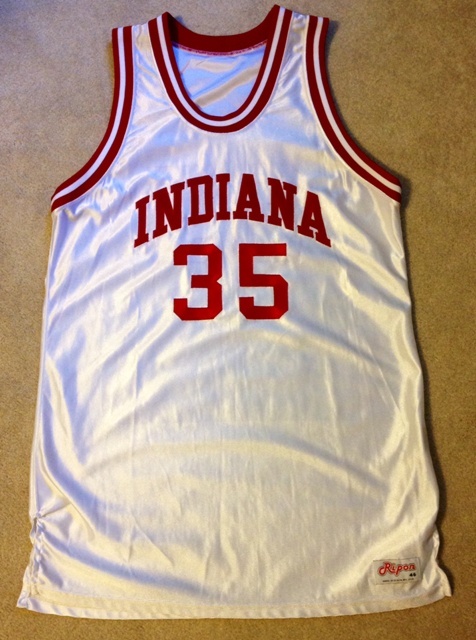 Jerseys from the early 2000s do not seem to come up for sale often, even though many were liquidated during the IU Athletics apparel sale in the winter of 2001. Collector’s note: Press passes are a unique piece of memorabilia, as many did not survive. Most often, passes were tossed after each game as a member of the media would receive a new pass each game. More often than not, those that did survive tend to be more from football games than basketball games. 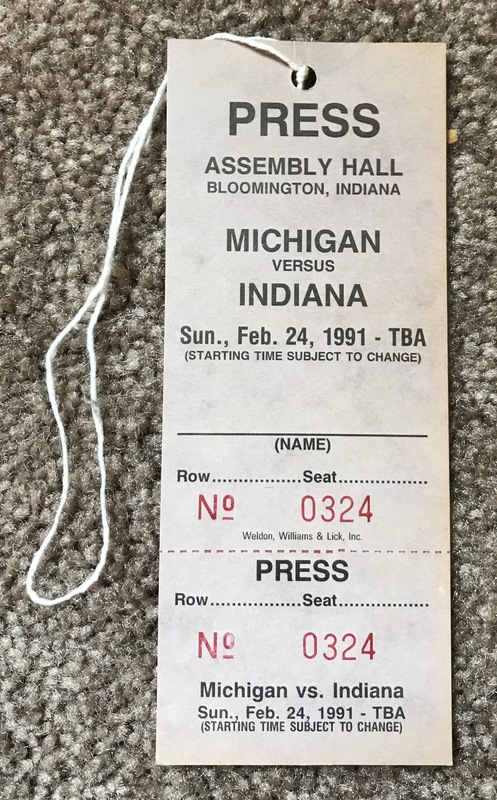 IU basketball press passes especially from the 1970’s and prior are rare and hard to come by. With the departure of Jay Edwards (declaring for the NBA Draft), who was Indiana’s leading scorer at 20 ppg and a First Team All-American selection, the 1989-90 Hoosiers struggled to adjust. It was one of the youngest teams in the Bob Knight era.